The winter months is the best time for using facial oils and even mother nature would agree. Facial oils are just the ticket for the colder days and put the glow back to skin tones. All skin types including a normal to combination skin just like mine will say yes to the silkiness that the skin oil delivers and surprisingly skin is not left looking oil-slick like. 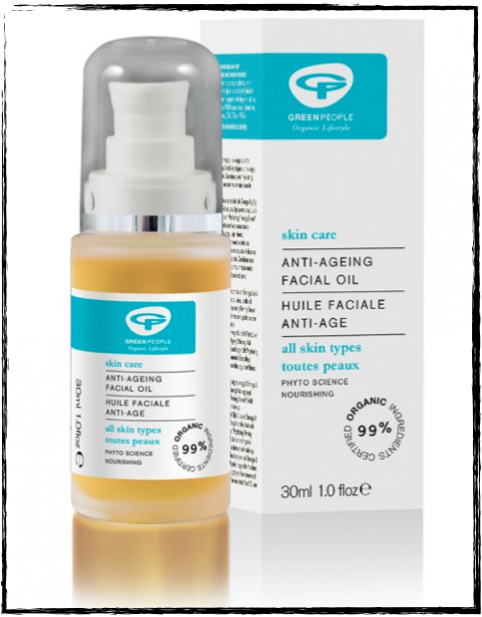 Green People’s anti-ageing facial oil that combines Organic Rosehip, Avocado, Almond & Vitamin E does a stellar job in hydrating and locking moisture into the layers of skin. The celebrity loved oil is the perfect antidote to spend the night with and dry skin will lap up the benefits which won’t last for one night only.